The first place to start, if you want a fat low end in your production is with the arrangement itself. In a rock track this might mean looking at the bass line to be sure it lends itself to producing the desired low end. If the recorded bass sound itself is lacking weight then consider re-amping to get the desired tone you’re after. In electronic styles it is all going to come down to the selection of sounds. Take some time to go through your presets and choose patches that give you the sound you are after in the first place and you’ll be setting yourself up for success in the mix down the line. Once you get to the business of actually writing, pay close attention to how you manage the various bass elements in the arrangement over time. Remember, to have a healthy low end, you need to put it in there in the first place! In the case of orchestral productions, you will want to follow sound orchestration principles, doublings etc… to produce the balance you desire. Lastly, no matter what genre you are working in, layering can be a very effective strategy. Before you go on jacking up your bass instruments to +12dB, consider a more subtle and elegant approach. Masking occurs when similar frequencies from different instruments in a mix make it difficult to hear each other. One of the major goals of a good mix is to avoid masking and achieve separation with careful management of equalization and panning. Many higher pitched instruments may have low end energy that isn’t fundamental to their characteristic sound. So a good place to start a mix is by simply high passing any non-bass instruments that have significant energy in the range of the bass instruments you are trying to feature. An easy and simple way to control your low end with more precision is by sidechaining a sustained bass element to a more percussive one. A classic example of this is in EDM, with the bass and kick. In a rock mix you would set this up by sidechaining the kick to the bass so that each time the kick hits the bass ducks down to make room for it, allowing it to cut through. There are lots of ways to put this to use, so you’ll just have to experiment. Most compressors have built in features for sidechaining but every DAW handles sidechaining differently, so check your program’s documentation to see how it is done in your DAW. Time based effects, specifically delay and reverb can obscure bass frequencies in the stereo field. This is one reason why many reverbs have a high pass filter built in. 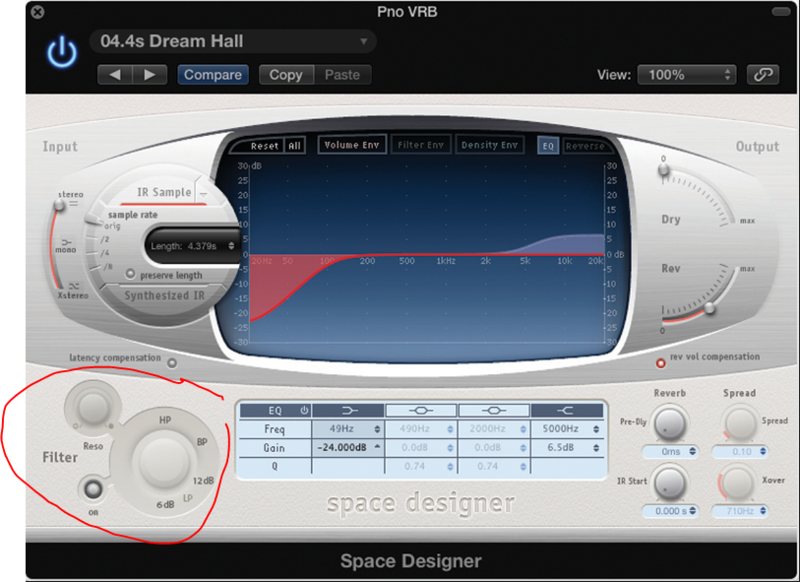 If you want to apply reverb to your bass and it doesn’t have a built in high pass filter, inserting one just above the reverb (in this case via a send) can help you control the sound with more accuracy. 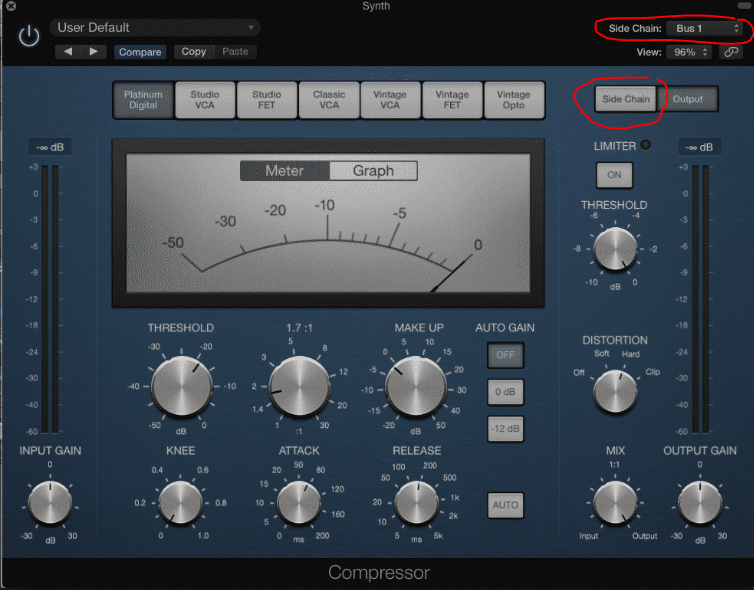 You can’t boost what is not there, which is why if your mix suffers from poor arrangement or the wrong source material, simply trying to raise the volume of your bass instruments alone usually will not produce the desired results. If the source doesn’t have adequate weight you may need to create it by other means. That is where a special class of plugins called “bass enhancement” “sub harmonic” plugins become useful. 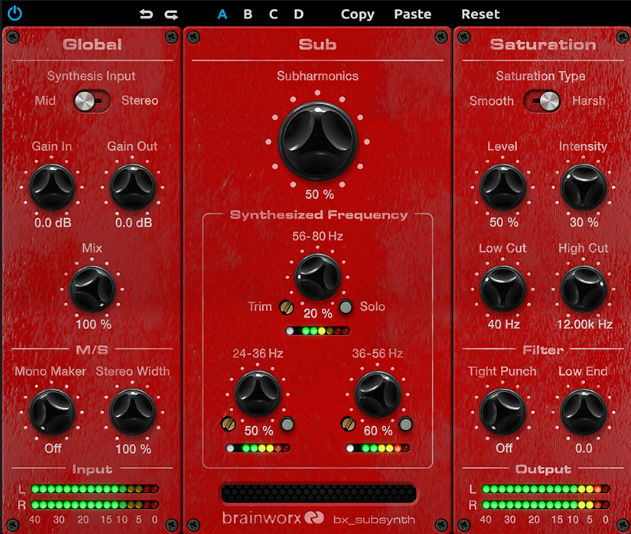 These plugins work by generating low end harmonics that add low end weight to whatever source they are used on. There are many third party plugins available and some DAWs even have plugins so do some research and try them out!